This is the perfect dish when you feel like something tasty for dinner however this something should not require that much preparation! All you need to do is prepare the marinade and leave it to work its magic. A little bit of sauteing and hey presto! Serve this with creamy mashed potatoes. 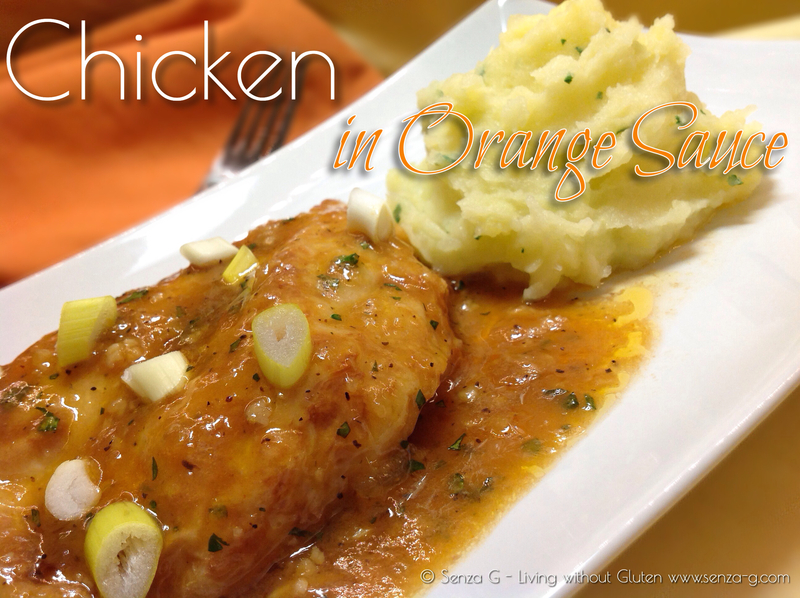 You can also use this marinade with pork chops or veal slices instead of chicken breasts! Take a freezer bag and put all the ingredients together with the chicken breast halves. Leave to marinate for a minimum of an hour. Drain the chicken breast halves and pour the marinade in a small saucepan. Heat a little vegetable oil in a large pan and sauté the breast halves, both sides until they are cooked. Keep warm. Bring the marinade to a boil and simmer until it starts to thicken slightly. Stir in the parsley. Place the breast halves on a serving plate, spoon the glaze on top and sprinkle with the sliced spring onions. Serve with creamy mashed potatoes. If you wish you can substitute the chicken with pork chops or veal slices.